Leon told me a special beer, Samuel Adams. Special means it’s not popular in Japan and of course its taste is really good! 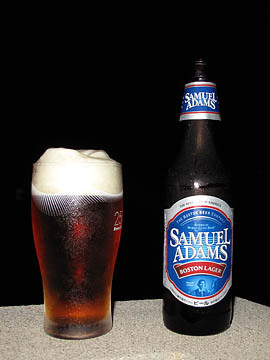 The Boston Lager Sam Adams is one of my best beer so far.